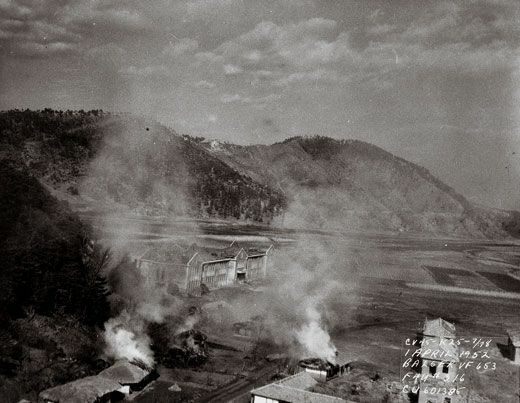 From a Navy Reserve pilot’s letters home, a picture of the darkest days of the Korean War. On his way to fight in the Korean War, Navy Reserve Lieutenant Joe Sanko confessed his fear to his older brother: “To date we haven’t lost a single life,” he wrote, “[but] we are going to lose some and perhaps quite a few.” Sanko’s letter, written on November 23, 1951, anticipated the arrival of the aircraft carrier Valley Forge in the Sea of Japan to join Task Force 77, the main striking force of the U.S. Seventh Fleet. The pilots had been briefed; they knew what awaited them. They would be spending a lot of time over enemy targets, and to destroy them they would have to fly low. By the end of the war, the carriers of Task Force 77, lying 125 miles from the coast of North Korea, would launch more than 255,000 sorties against the communist forces. Sanko was just days shy of turning 30. He was an F4U Corsair pilot with VF-653, a Naval Air Reserve squadron from Akron, Ohio. 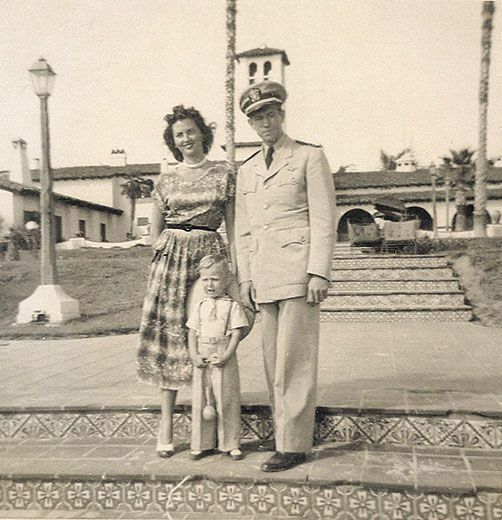 His letters home—to his wife Millie, who was expecting their second child, and to his sisters and brothers—were collected and shared with me by his son Dan, who was three years old when his dad left for the war. One of 10 children in a tight-knit Polish-American family, Joe Sanko wrote mainly to reassure his wife and siblings about his safety. But his letters to his older brother Peter were more candid. Peter was a Jesuit, working as a cook at the St. Andrew-on-Hudson seminary (now the Culinary Institute of America) in Hyde Park, New York, and seemed to have the most in common with Joe. Each was far from home and bound emotionally to a new family: a group of men who depended on one another, in one case, for spiritual sustenance; in the other, for their lives. VF-653 was part of a temporary carrier air group cobbled together with reservists and active-duty squadrons. Air Task Group One was a product of the Korean emergency, formed by sidestepping the need for separate Congressional authorization to commission new air groups. Sanko was typical of the squadron’s aviators. 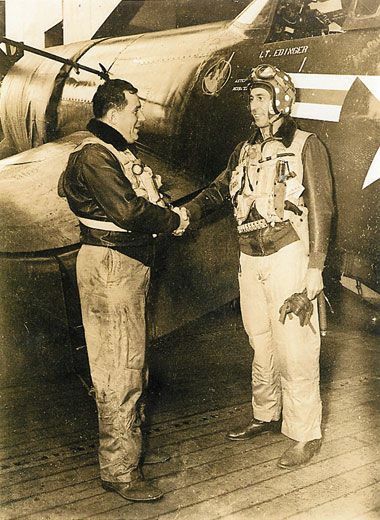 Many were fathers and senior lieutenants with at least some World War II flight experience. Nearly all lived in Ohio or western Pennsylvania. A few were still in school on the GI Bill, but most were white- or blue-collar workers. VF-653’s 34-year-old executive officer, Ray Edinger, for example, was a General Motors service representative. Bob Balser, 26, one of the squadron’s few bachelors, was an illustrator for the Pittsburgh Post-Gazette. Sanko was a coal miner whose occasional weekend aloft contrasted with long weekday shifts below ground. For each of these “weekend warriors”—like so many of today’s National Guard—the call to duty brought business and family routines to an abrupt halt. In North Korea, the reservists would become bridge, road, and rail busters. Because that country lacked an industrial base, most of its supplies were hauled overland from Manchuria and the Soviet Union. Task Force 77 aviators specialized in the arduous, dangerous mission of destroying shipments and supply lines that coursed through the North’s rugged terrain. Day after day, they attacked railroads, roads, bridges, and the locomotives, trucks, and even ox carts moving along them. 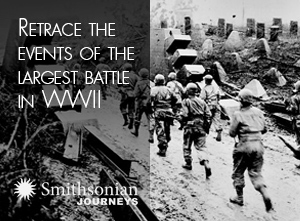 The Korean War stretched the already thin ranks of America’s post-World War II armed forces. Within days of North Korea’s June 25, 1950 invasion of South Korea, Congress authorized the mobilization of reservists, and President Harry Truman immediately called up 25,000; before the year’s end, 135,000 more were tapped. At the outset, 14 Navy air reserve squadrons, including VF-653, were pressed into active duty. 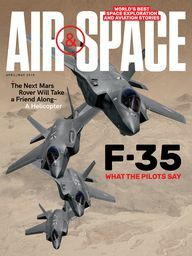 As established squadrons more fully integrated reservists and regulars, reservists would fly about a third of Navy and Marine Corps combat missions. In 1951, however, squadrons like VF-653 were conspicuous and untested. 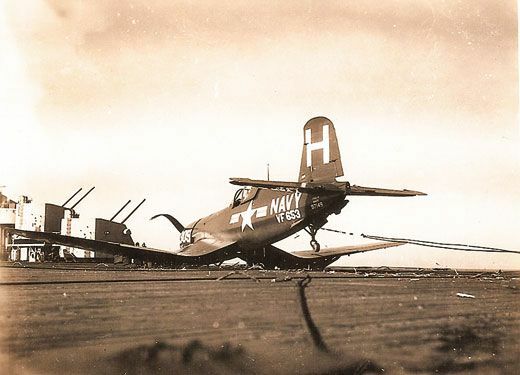 To its advantage, the squadron was skippered by a hotshot Navy aviator named Cook Cleland, who, during the Pacific war, had flown Douglas Dauntless SBD dive bombers from the decks of the carriers Wasp and Lexington. After the war, Cleland, based in Akron, took up pylon air racing, initially flying production models of the Corsair but switching to a better-performing version of a Goodyear-manufactured Corsair purchased as surplus. Flying three of these muscular Super Corsairs, each sporting a 3,000-horsepower Pratt & Whitney R-4360, Cleland’s team snatched a record-setting 396-mph victory in the 1947 Thompson Trophy Race. Beaten by Army aircraft the following year, Cleland’s team bounced back to sweep first, second, and third places in the 1949 race. “He’s a born pusher,” Sanko described his skipper in a January 1952 letter. As second section leader in Cleland’s division, Sanko flew with him on most missions. Under Cleland’s leadership, VF-653 pilots formed a tight, high-spirited team. Taking a cue from the artwork on a bag of candy sent to one of the men from home, the pilots had their flight helmets painted red with white polka dots. Bob Balser, who after Korea went on to a 31-year career as a TWA pilot and is now 87 and retired in Scottsdale, Arizona, remembers the project: “I was an illustrator, so I had the job of sketching out a template for a grinning clown. The template was then hand-painted on the side of each pilot’s helmet. Because Ray Edinger was XO [executive officer] and was in charge of squadron discipline, his helmet got painted differently. 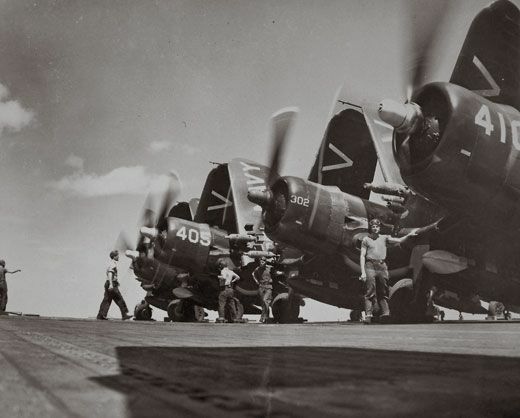 His was a frowning clown.” Cleland was determined that the “clowns” in his squadron would more than hold their own with the younger Navy regulars and their advanced aircraft. “We aren’t riding tail end to any of them,” Sanko boasted to his brother. 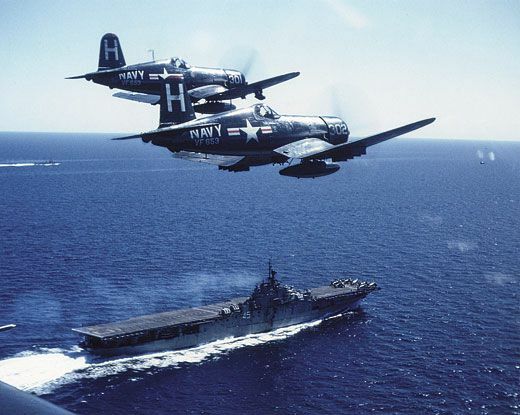 During deployment, a Task Force 77 carrier and its air group usually operated (along with one or two sister carriers, plus a screen of cruisers and destroyers) for 30 days at a time. After that came a 10-day rest break in Japan. While on duty, each carrier rotated through four-day cycles—three days of air strikes followed by a day of rest. By Sanko’s reckoning, he and the other aviators could anticipate flying roughly 60 combat missions over the course of four operational periods. Valley Forge’s first tour ended on January 19, 1952. 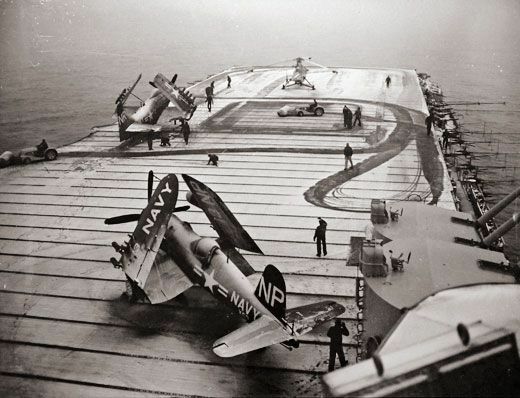 Despite challenging winter conditions, ATG-1’s 129 airmen and 79 aircraft, which included Douglas A-1 Skyraiders and swift but short-legged jet-powered Grumman F9F Panthers, as well as Corsairs, had racked up more than 1,000 combat sorties. Ten airmen had been killed or were missing. ATG-1 returned to duty on February 1, but this second tour was shorter—just 20 days—and on two of them, foul weather shut down flight operations. There were fewer than 500 combat sorties, but the 70 flown on February 8 were especially grueling. Many were Rescue Combat Air Patrol (RESCAP) flights in support of efforts to extract two VF-194 pilots, downed behind enemy lines. That squadron flew Skyraiders, single-seat, propeller-driven attack aircraft that first flew in 1945. Both rescues failed and two rescue helicopters crashed, one at each site. 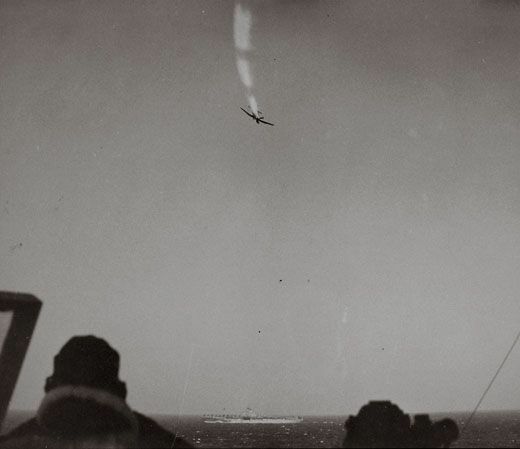 To make matters worse, a Corsair pilot from an ATG-1 night-flying detachment was killed, while five other RESCAP aircraft suffered crippling flak damage. VF-653’s Ray Edinger flew one of the damaged Corsairs, which had lost hydraulics and was dangerously low on fuel. When his Corsair touched down on Valley Forge, its wheel struts collapsed. Then, as the airplane skidded along the deck, a hung rocket on the port wing was jettisoned and tumbled forward. Flight deck crews raced for cover, but the rocket didn’t explode. Edinger managed to climb from the cockpit, shaken but unhurt. Novelist James Michener, who was then embedded with Task Force 77, described the day’s events in a newspaper dispatch titled “An Epic in Failure.” Michener had been impressed with the pilots’ perseverance. In an article in the July 1952 issue of Reader’s Digest, he recounted that the pilots had told him, “We don’t desert our men.” The experience inspired the fictional drama of downed aircraft and helicopter pilots that concludes Michener’s 1953 novel The Bridges at Toko-Ri. By the time Valley Forge left for Yokosuka, Japan, on April 2, ATG-1’s pilots had logged well over 1,500 combat missions and, in the process, sacrificed four more squadron mates (one from VF-653). They were ready for a break. And their next tour, set to begin on April 14, was to be their last. Sanko was one of three ATG-1 airmen lost in combat during Valley Forge’s fourth tour. During the group’s fifth and final tour, four more were lost, including two from VF-653. The squadron, having lost a total of 11, was assigned for its final missions to less hazardous coastal hops. However, on June 10, ATG-1’s last day of combat operations, Cleland was still pushing. “He was shot up pretty good by flak,” Len DeFranco recalls. “He ditched in Wonsan Harbor [in North Korea] and was picked up by a helicopter.” The airplane Cleland lost that day was not Fighting 301, which made it through the war. VF-653’s Korean War losses—13 pilots missing, killed, or severely injured, about 46 percent of the number first deployed—represented almost half of those sustained by ATG-1. As measured by total sorties flown, the results are equally stark: ATG-1’s airmen flew a combined 7,113; VF-653’s rate of losses per missions flown was twice as high as the air group’s overall rate. Back in Ohio and Pennsylvania, 11 families struggled with the losses. Dan Sanko tells me that his mom never fully recovered. She remarried several years later, but later divorced. She died in 1982. Today a health insurance industry business analyst in McKees Rocks, Pennsylvania, Dan Sanko is also an avid amateur aviation photographer who attends as many airshows as he can. When he goes, he especially likes to photograph Corsairs. David Sears is a former U.S. Navy officer and military historian. His two most recent books, Pacific Air and Such Men as These, portray naval combat aviation during World War II and the Korean War. The Sikorsky HO5S-1 Made its Name Flying Medevac Missions in Korea.